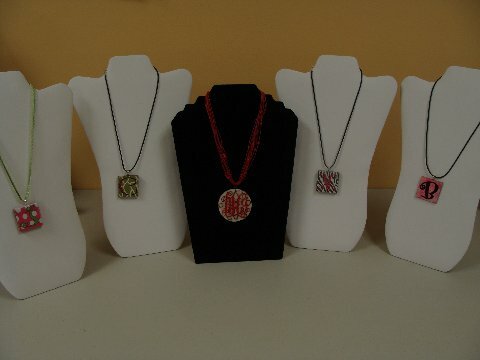 Monogrammed- Personalized Necklaces - A great gift anytime! 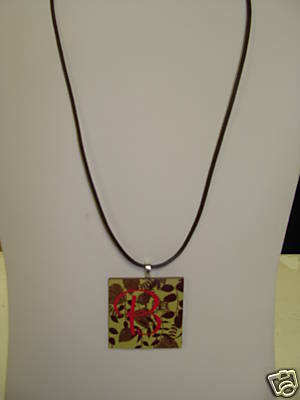 These necklaces are 1.5" x 1.5" and made of cerarmic tile or wood and personalized just for the intended. 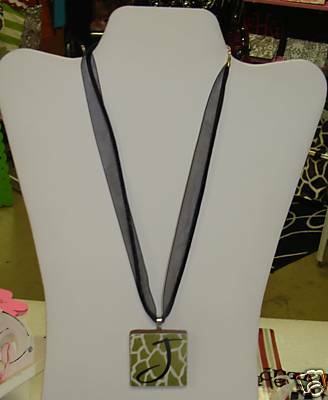 Made in many colors and designs, each with a colored ribbon to wear it on. All monograms are available in color you can imagine, Black, Brown, Hot Pink, Pink, Navy Blue, Royal Blue, Lime Green. If your desired color is not listed please email us and we will make sure its available. They are so stylish for wearing every day of the week, anywhere you go. Really cute and a unique item. 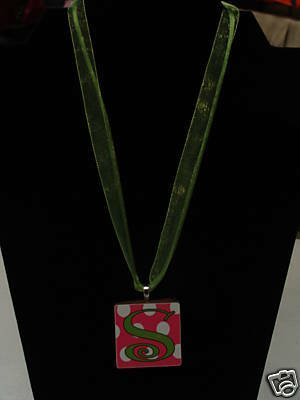 All initials are processed to be permanently affixed on the necklace in the font and color of your choice. See individual product listings for available fonts. ©2019 Trendy Tiger Monogrammed & Personalized Gifts. All rights reserved.